It’s possible to set an approximate, but fairly accurate, custom white balance using live view in liue of a custom white balance target. Though doing so will be be less accurate than a properly calibrated white balance card. For most dual-dial Canon bodies, you cycle though the preset white balance modes using the rear dial, and change the kelvin value (or select from the multiple custom white balances on EOS-1D bodies) with the front dial when it’s that mode is selected. Nikon cameras with live view support a similar adjustments again using the camera’s control dials. For RAW shooters, setting up a custom white balance in the field can be useful when using filters that cause extreme color casts if there isn’t an obvious reference gray in the frame. Otherwise, the ability to adjust the white balance in post limits the utility of this technique. A condition exists in Canon’s Print Studio Pro printing software, where it will error and exit if the paper type is changed to a type that the computer doesn’t have an ICC profile for installed—say because you removed ICC profiles for paper’s you don’t use. This can result in an endless crash loop where Print Studio Pro crashes on start up and you cannot change the paper type to something that doesn’t cause the problem. 1) Do not clean up any unused Canon installed ICC profiles for your Pixma Pro printer. Doing so will likely trigger this problem and result in Print Studio Pro being unusable. 2) If you do trigger the error loop, you will need to install the missing ICC profiles, either by reinstalling the printer drivers or by extracting the necessary profiles from the printer driver installer and copying them manually to their appropreate color profile store on your computer. How do I use a Nikon ME-1 with a Zoom H4n? To use a Nikon ME-1 stereo mic with a Zoom H4n you have to enable plug-in power in the input menu, and use the stereo microphone input jack on the back of the unit between the speaker and built-in microphones. There are two ways the magnification of the lens is generally described. The ratio form gives the ratio of image size to object size. In other words, if a lens has a maximum magnification of 1:4, then at that magnification the object will be 4 times larger than the image. The decimal form is simply the decimal representation of that ratio. For example, a 1:4 magnification can also be expressed as 0.25x. To convert from the ratio form to the decimal form, divide the object size by the image size. 1:1 (1x) – True macro magnification, the image is the same size as the subject was. Most true macro lens support this magnification. 1:2 (0.5x) – Half macro magnification, the Canon EF 50mm f/2.5 compact macro and the Zeiss Macro Planar lenses reach this. 1:4 (0.25x) – “Consumer Macro”, most lenses that aren’t dedicated macro lenses but are branded as macro reach this magnification. Here are a couple of handy shortcuts for altering an image’s develop settings from the Library Module (as well as the Develop Module). In Adobe Photoshop Lightroom there are many places where you might want to expand or collapse multiple items all at once; the Folders list, Collections list, or keywords list for example. If you hold the alt-key (option on Mac OS) and click the triangle next to the entry to expand or collapse it, it will expand or collapse that entry and any sub entries that can also be expand or collapsed. Taking it a step further alt-clicking (option-clicking) on the panels themselves will switch them into solo mode, where only the active panel will be expanded, and everything else will just be a title. You can tell if the panels are in solo mode because their open/close arrows go from being solid to being dotted. One final tip, control-clicking (command-clicking on a mac) a panel title will expand or collapse all panels on that side of the screen. If there is no save button, or you’re updating an existing watermark, use the Save Current Settings as New Preset or Update Preset… options from the drop-down menu in the top left corner of the Watermark Editor. When in crop mode (shortcut key R) you can quickly use the Straighten tool by holding the CTRL key (Command on a Mac). I never found the the built in options in Lightroom’s metadata pallet to suit my needs. They either were too short and didn’t have the stuff I wanted, or too long and I had to scroll a lot. Fortunately, Adobe lets you create custom metadata field lists so you can have it your way. This is what I use, in fact I almost never change away from it. It’s designed such that on my 1920×1600 screen I can see at a glance all the information I want about file size, exposure, lens, camera settings, as well as be able to edit the title, headline, and caption fields without having to scroll and while the Histogram and Keywording panels are expanded. Extract CombinedImage.zip and copy the file CombinedImage.lrtemplate to %appdata%\Adobe\Lightroom\Metadata Filed Lists/ on Windows or ~/Library/Adobe/Lightroom/Metadata Field Lists/ on Mac OS. If the Metadata Field Lists folder doesn’t exist, as is the case with newer Lightroom installs (starting with version 3 or 4) then you’ll need to create it. The file and instructions are provided as is and without warranty or support. Feel free to modify and redistribute the provided lrtemplate file. In Lightroom 3 you can rate, flag, or label an image and advance to the next image automatically without having the “Auto Advance” mode enabled by holding the SHIFT key when you press the shortcut for the action you want to take. For example, to reject an image you can hit X, to reject and advance you hit SHIFT+X. This works with all the keys on the main keyboard but not the numpad. A table of ND filter strength in stops, decimal density (i.e. 0.3), and Hoya’s x-factor/Cokin’s ND#. Premiere Pro: How to hide the adjustment line shown on clips in the timeline? 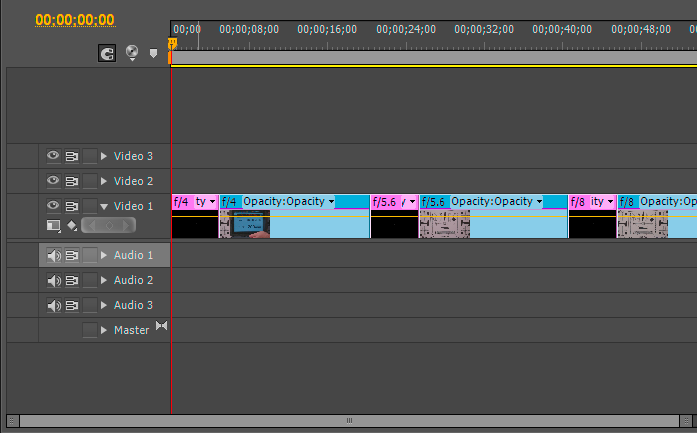 Sometimes when working in premiere it’s desirable to remove/hide the key frames and associated features from the editing timeline without collapsing the channel so you don’t lose the frame thumbnails. 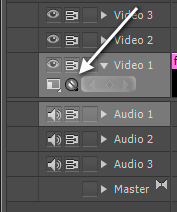 To do that, click the icon indicated by the arrow in the following image and select “Hide Keyframes” form the menu that pops up.